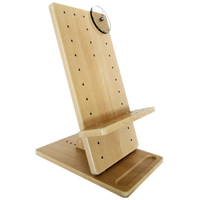 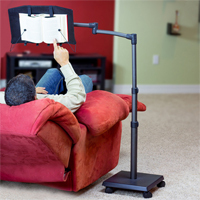 The Book Stand / Copy Holder from Aidata is an economical product which is a book stand, copy holder and photo frame all in one. 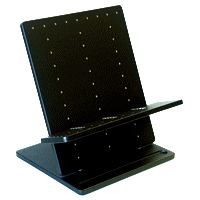 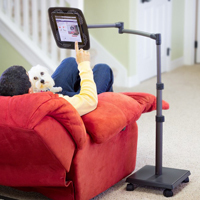 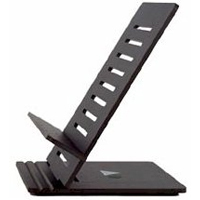 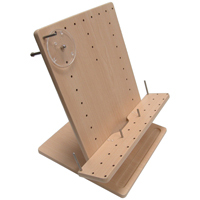 The non-skid stand has 3 viewing angle adjustments, and the sturdy plastic construction holds up to a 1.5" thick book. 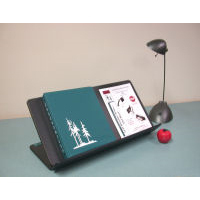 Two adjustable page holders keep the book open to the desired pages. 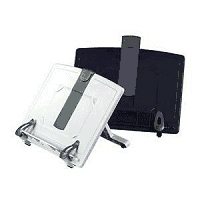 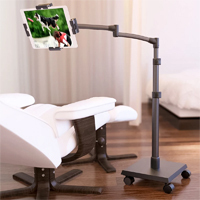 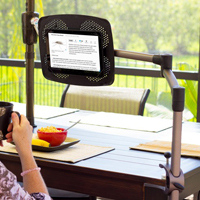 The extendable document clip accommodates 8.5" x 11" papers, and the built-in picture frame holds a 4" x 6" picture.